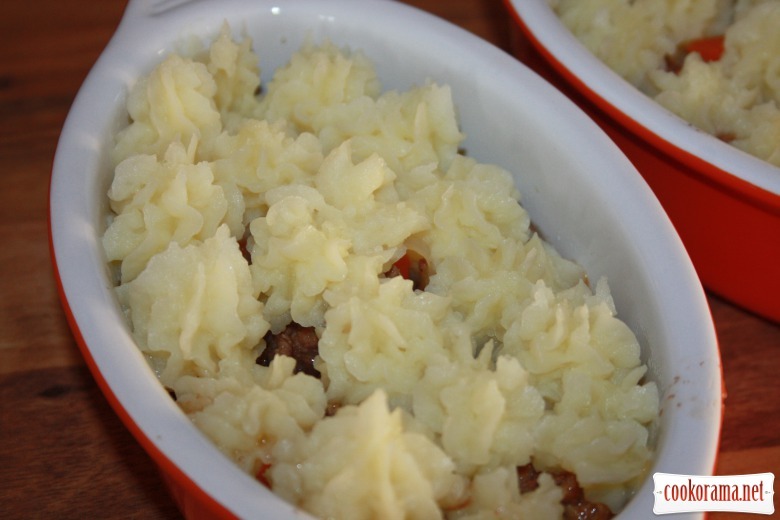 Traditional classic «Shepherd's pie» (the original mince must be beef or lamb, but I always use pork, I think that this does not influence on dish much And then the name will be " Swineherd`s Pie "
The other problem is Worcester sauce in recipe, I know, that it is hard to find it in Ukraine, than you can just avoid it`s using. Fry mince to golden color, add chopped onion, carrot (diced or sliced), peas (you can take frozen ), garlic, tomato puree,salt, spices and greens and pour all with broth (or with boiling water) and wine, add flour and stew covered with lid for 10-15 min. 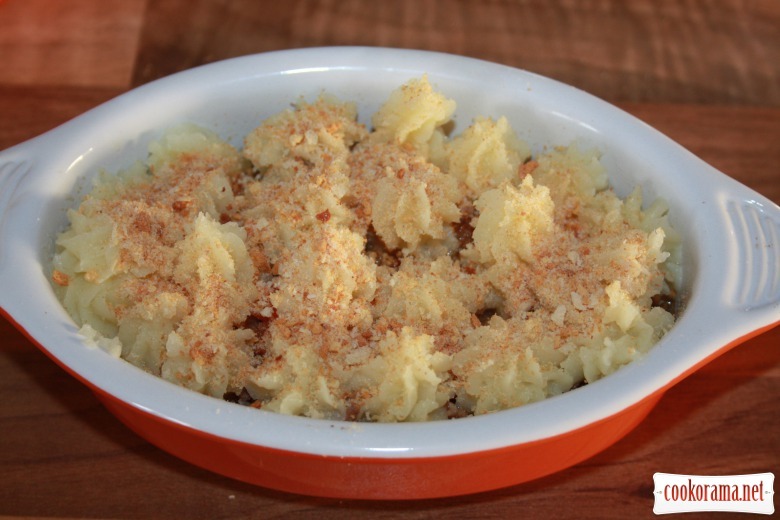 Boil potato in salted water, make puree adding hot milk and butter, salt and pepper. 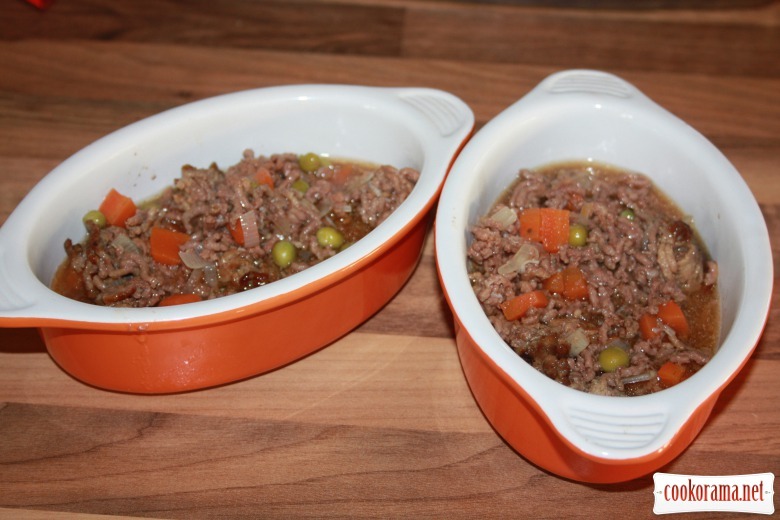 Spread mince in refractory baking form (better ceramic or clay one), or individual portion molds. 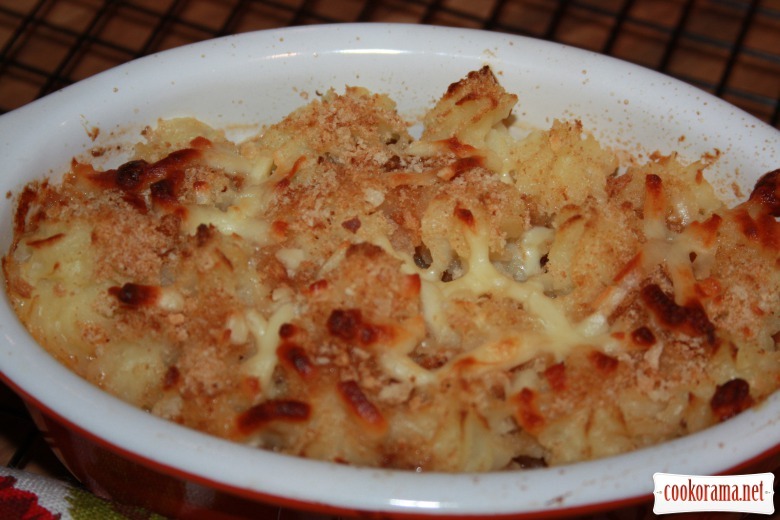 Mix grated cheese with breadcrumbs and sprinkle casserole. Bake in the oven for 15-20 min at 200℃. 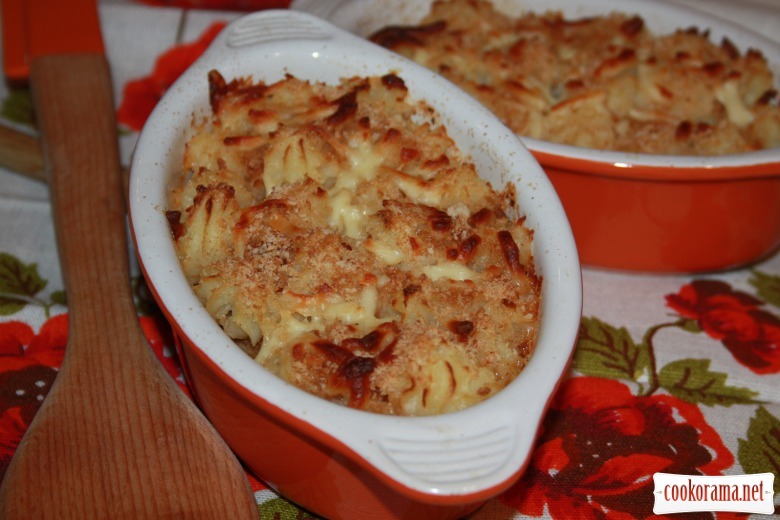 Top of recipe ""Shepherd's pie" (potato casserole with meat)"